Researcher Johannes Blum interviewed Armand Schmidt. This interview is part of collection KD_00016. The interview was conducted in French. Rosa Kolinski was born in Frankfurt am Main in 1903. She migrated to Antwerp in 1933 and married Markus Schmidt, a Polish diamond cutter. Their daughter Rachel was born in 1936. Due to complications during child-birth, the girl was handicapped. In the summer of 1942 Markus Schmidt was arrested by the nazis and sent to the North of France where he worked as a slave labourer for Organisation Todt. Rosa Kolinski was pregnant at the time and remained in Belgium. She sent her daughter Rachel to the Institut Enfant Jésus, where she was hidden by the nuns of the Pauvres Soeurs de Mons order. Rachel would pass away at the convent at the beginning of 1943 and was burried there. 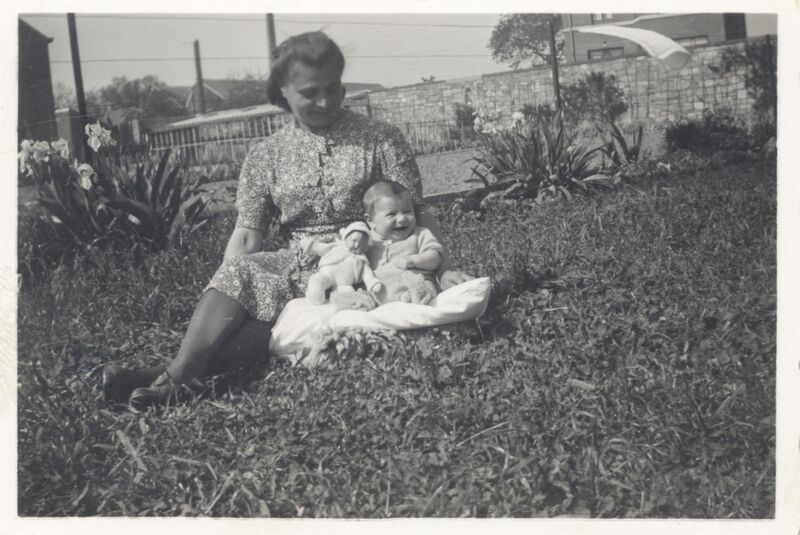 In December 1942, Rosa Kolinski gave birth to a son, Armand Schmidt. She succeeded in fleeing with baby Armand, when the Sicherheitspolizei-Sicherheitsdienst (Sipo-SD) came knocking on her door. She placed the baby at the Institut Enfant Jésus in Ciney, where he was hidden by the nuns. They treated him as if he was their own and called him their "chouchou". The sisters kept Rosa informed by sending her letters and postcards, from which she cut the marking of the order and the location of the convent to keep Armand safe in case she herself would be arrested. Rosa Kolinski took a false name and hid in Brussels, where she remained until 1945. It wasn't until 1946 that she could take over the care of her son again. Her husband Markus had been deported from France via transport XVII at the end of October 1942 to Auschwitz-Birkenau and didn't survive. Rosa Kolinski remarried after the war and passed away in 1981. After the death of Rosa Kolinski-Schmidt, the photos, letters and postcards were kept by her son Armand Schmidt.